Minimum thermal insulation levels are being increased in the Building Decree 2012 (compared to 2003 levels). Closed parts of an external partition will soon require a thermal resistance of at least 3.5 m2 K/W (currently 2.5 m2 K/W). From 2012 windows and other ‘open’ parts of a facade will be required to have a maximum heat transfer coefficient of 2.2 W/m2•K (currently: 4.2 W/m2•K). This tightening of the regulations will only reduce energy consumption in industrial facilities that are heated for use by personnel. Energy performance will be the standard for other heated buildings. For this type of building the tightening of the regulations will further reduce the scope for using technical measures to help meet the energy performance requirements. 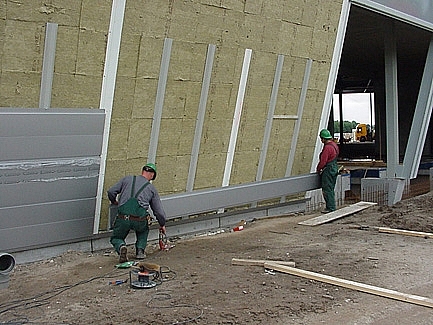 More information about thermal insulation in steel structures.